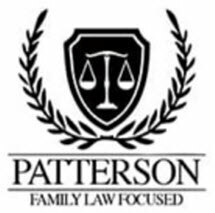 The Patterson Law Office in Charlotte, North Carolina, provides comprehensive family law services to help individuals and families through their most difficult and emotionally challenging legal situations. An attorney since 2006, Ms. Patterson founded her Charlotte law office in 2011 as a way to better serve the members of her community. Since that time, her law firm has become the trusted source for high-quality legal advocacy for families throughout the region. Having honed her legal skills at two of the largest and most prestigious law firms in the country, Ms. Patterson provides the same level of counsel found at large practices but with the personalized attention needed to more effectively achieve her clients' specific needs and goals. Recognized for her excellent service and impeccable professionalism, Ms. Patterson has received a number of awards and accolades over the course of her career, and her law firm receives many positive referrals from satisfied clients. To find out more about how The Patterson Law Office can best serve you, your family and your children during your uncertain time, you can contact the law firm to schedule a consultation. Family Law 101 - Custody Considerations, National Business Inst.